Didn’ t think you would find an Online Casino that accepts WebMoney? Well, you found one! 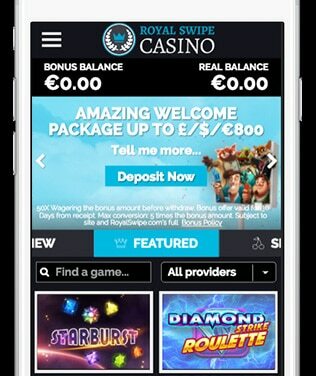 Welcome to one of the few and the best WebMoney Casino out there! Be sure to have registered to WebMoney prior to creating an account at Royal Swipe. Now create an account here by joining us! Next we make our first deposit by going to the deposit page and choose WebMoney as primary payment method. All you have to do now is following the screen instructions and finalise your deposit. You did it! You are now ready to actually play with WebMoney on this Online Casino! Why choose to play with WebMoney on Royal Swipe? Pay by WebMoney makes sure you keep your payment details to your own. Royal Swipe offers Welcome Bonus 100% up to $/£/€100 + 20 Free Spins on Shaman's Dream on your first deposit ! What? A 100% bonus on my first deposit you say?! Yes! Join Royal Swipe today to claim yourWelcome Bonus 100% up to $/£/€100 + 20 Free Spins on Shaman's Dream on your first deposit. It’s as easy as registering and deposit using WebMoney, no codes needed! And when you login: BAM! You have your bonus, getting the chances and time to win! Besides our royal welcome bonus, we are happy to inform you we have promotions on a weekly basis! Next to that, you can play our games on any device your prefer. With a proper interface! So you can play your favorite games anytime, anywhere! We double your first deposit with a bonus, because we can! More and more promotions every week!